For the sophisticated man always on the go, time is an inevitable part of the journey. Letting time slip through your fingers can cause you to miss the last train to a far destination, an international flight or an important meeting with potential investors. This makes a watch a must-have accessory for you, the sophisticated male traveler. You can literally take control of your time with these three best travel watches from Tag Heuer. PS: They also make great gifts for Father's Day as well. If you attend a lot of formal events and want to incorporate a little touch of sportiness in your look, then there's hardly a more elegant travel watch that subtly straddles the gap between these two styles than the Tag Heuer Carrera Chronograph watch. Inspired by classic motor racing, with its name being derived from the epic Carrera Panamericana Mexico Race, the Carrera Chronograph watch is a remarkable timepiece to behold. It flaunts a sporty facade with a large, easy to read face and a blue bracelet finish that bestows a mysterious, yet sophisticated look. Its water resistance is held up to 100 meters, meaning that it can hold up well under rainy weather and for quick dips. Deep diving and any other extensive underwater activities are better served for other models. It also has three (3) chronograph dials as per expected standards, and a Tachymeter around the edge. The luminous markers make the Tag Carrera easy to read even in low-light situations, whether on a poorly lit bus or train. If you're an urban travelers on the move and looking for a watch with a classy and sporty look, then this is the watch for you. 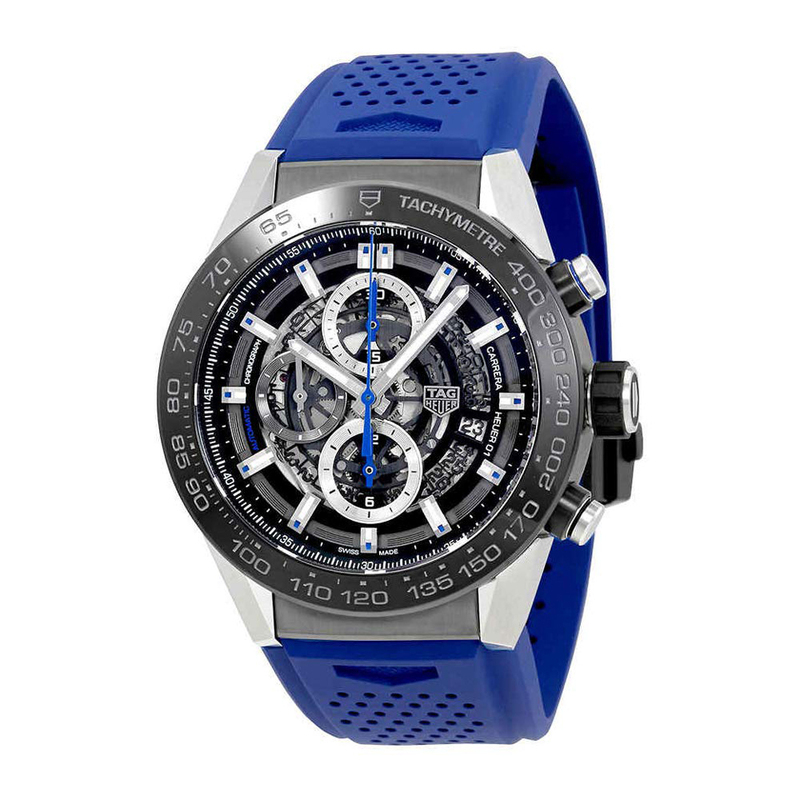 You would be hard pressed to find a travel watch that is sleeker than the Tag Heuer Men's 'Formula 1 watch. This classy stainless steel build is perfect for the frequent traveler looking for a stylish, contemporary timepiece. This Tag Heuer watch comes with a stainless steel case and a stainless steel bracelet, making it a great addition to any traveler's wardrobe. It features a Swiss-quartz rotation and a fixed black carbide glazed titanium bezel that shows Tachymeter markings. Although it is described as a dress watch, the Tag Heuer Formula 1 features a chronograph with three sub-dials that display 30 minutes, 60 seconds and 1/10th of a second for amazingly accurate timekeeping. Its dial with luminous indices makes for a bold timepiece that inevitably draws attention. Although it has a date window, its dial does not look out of balance compared to other f1s with the same features. 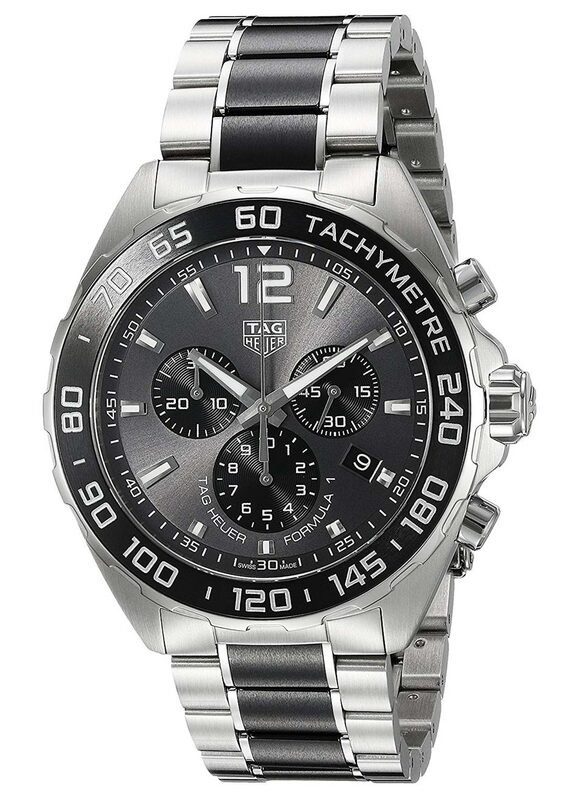 This Tag Heuer Formula 1watch should definitely be considered by the sophisticated traveler who wants a stylish watch that helps him look complete wherever he is goes..
For the serious globe-trotting traveler, it is hard to find a better men's watch than the Tag Heuer Men's Formula 1 Swiss Quartz watch. This timepiece comes with a stainless steel case and a stainless steel bracelet. It is adorned with black ceramic center links which give it a very chic look. 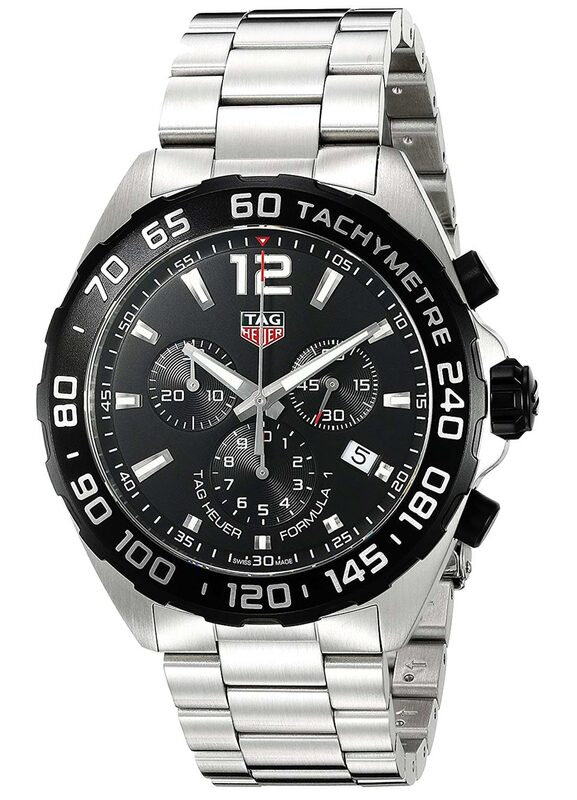 Its permanent stainless steel bezel comes with a black ceramic top ring that shows the Tachymeter markings. This Tag Heuer Formula 1 watch has a gray dial with lucent silver-tone hands and luminous index hour markers. It also features a scratch-resistant sapphire crystal. Its water resistance is rated at 200m/660ft, which makes it more suited towards professional marine activity and recreational water sports rather than serious diving. The watch is definitely for the man that takes pride in his appearance. What do you think guys? 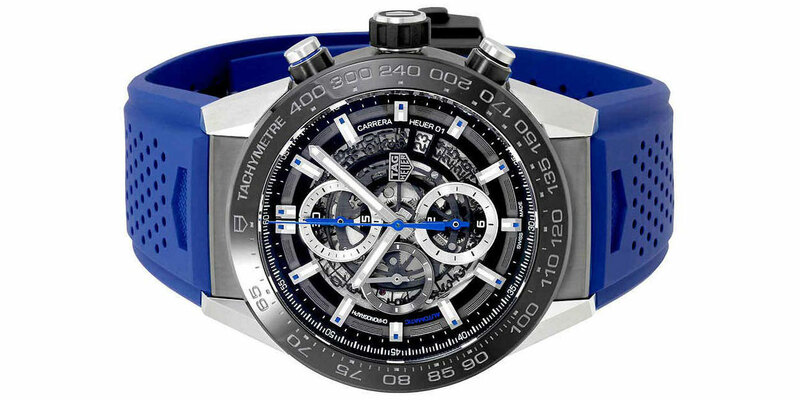 Tag Heuer is a name synonymous with innovation, sophistication, formula one and all things sports. It is the go-to manufacturer and designer for all types of watches, including driving, traveling and chronograph watches. As a discerning gentleman, you know that your appearance is a statement of your personal status and success. If you are looking for a good travel watch, you should definitely consider any one of the above three that best suits your style and personality. Treat yourself to one of these urban beauties and travel in style and luxury. You can also gift them to your dad or mate for Father's Day.